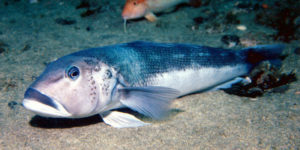 For the first time, a team of scientists has succeeded in breeding blue cod in captivity, an achievement that would help to boost the aquaculture sector in New Zealand. These researchers, of the Seafood Technologies team at Plant and Food Research, have managed to farm blue cod to fingerlings, in association with Ngāi Tahu Seafood Ltd, an iwi-owned organisation that specialises in the harvesting and processing of rock lobster, shellfish and finfish. “By enhancing our understanding of blue cod breeding we may be able to identify ways to replenish and strengthen our fishing stocks, which will have a positive impact on customary, recreational and commercial availability. It will help us sustain the health of our fisheries,” pointed out Chief Executive of Ngāi Tahu Seafood Joseph Thomas. The scientists engaged in the initiative explained that around 2000 hatchlings have been raised, most of which are now around 5 to 7cm long and that their parents were wild blue cod from the Marlborough Sounds. May 16, 2017 in Biotechnology, Research.